With so many activities and shows to choose from when you visit Walt Disney World it's easy to get a little overwhelmed with it all. After all visiting Walt Disney World at all takes a lot of planning. There are certainly shows and entertainment that you don't need to book, that are always open or you can just catch in the streets of the parks. 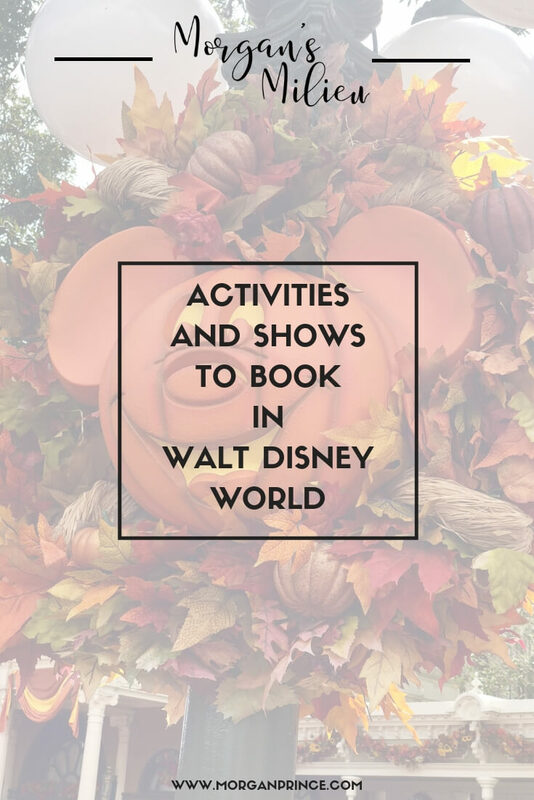 But there are also shows and activities that you'll need to book ahead of time if you want to make sure you'll get to do them. 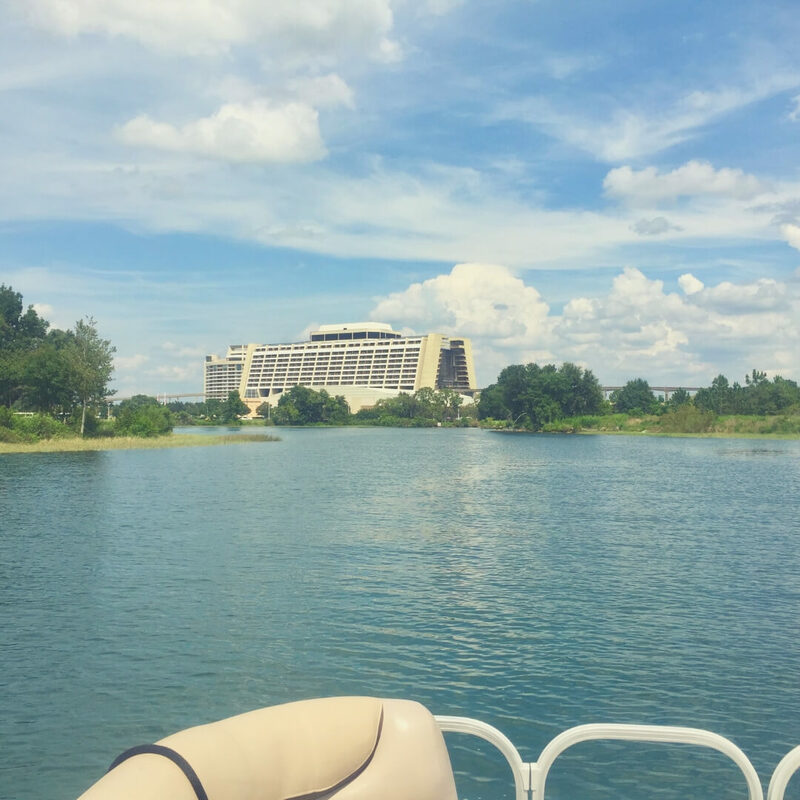 At certain hotels in Walt Disney World you can hire boats to take out onto the lake. They have large boats, pontoons, and smaller boats too meant for just two people. These activities do get busy though, so it's a good idea to book, especially if you'd like to take out a larger boat. BP chilling. Taking a moment away from the crowds. 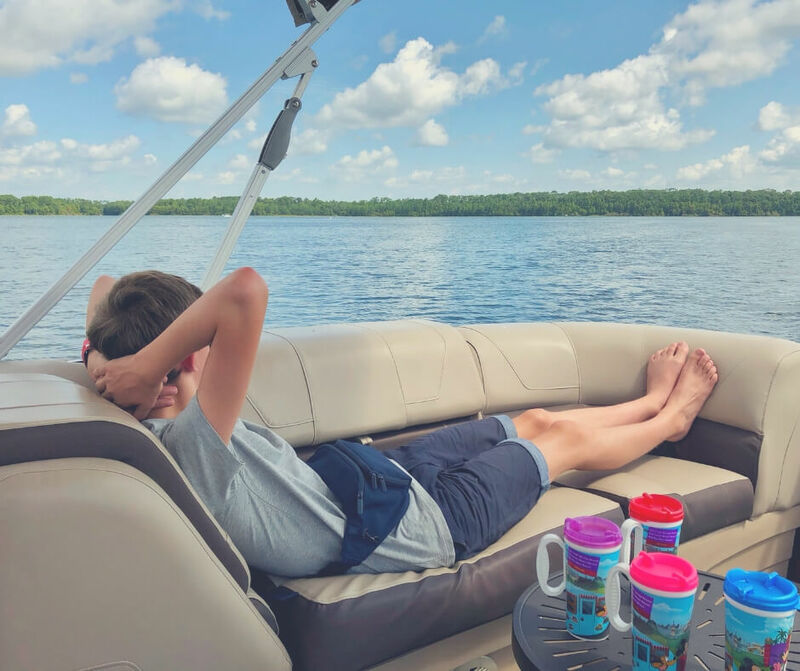 It is one of the few activities in Walt Disney World where it is just you and your family, you can escape the crowds and sail on the lake at your own pace. We love it, and the boys enjoy being able to chill out on the boat looking around at the sights. It's such a peaceful time and definitely one to do if you get the chance. At the Animal Kingdom Lodge you can book a tour of the Savannah. A couple of years ago we were lucky enough to do the tour and had a brilliant time learning about the animals and how the Cast Members look after them. LP even got to call one of the pigs to tell it it was breakfast time. Get up and close with the animals. The Savannah isn't huge but you're taken behind the scenes and get to see where the animals are kept at night, where they eat, and learn about the animals. You'll learn how the Cast Members try to make sure the animals are as wild as they can be at the same time as taking care of them. It was a really interesting tour and definitely one to check out. Obviously this party only happens at certain times in the year, but in 2018 we were lucky enough to be in Walt Disney World when the party started. Towards the end of the summer season the party began and we were quick to book our tickets. 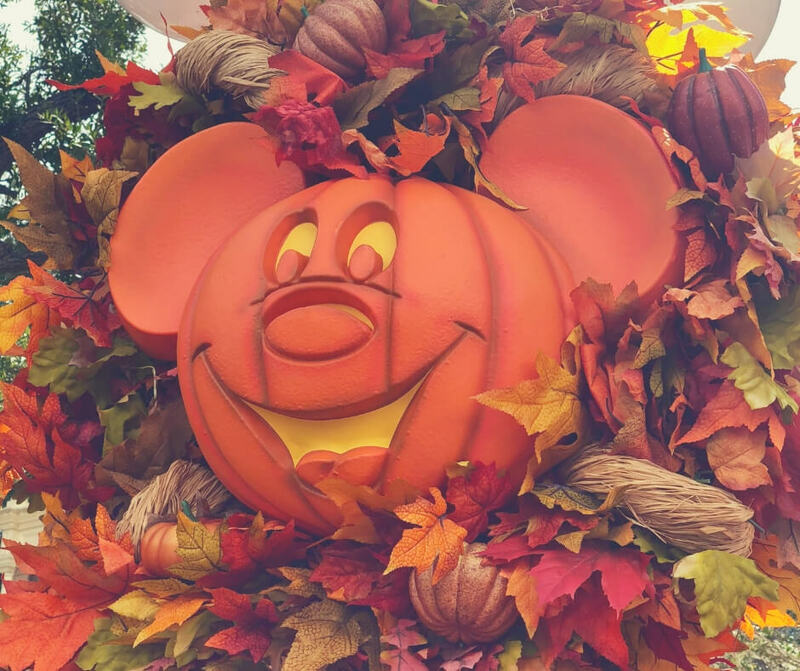 The thing about Mickey's Not-So-Scary Halloween Party is it sells out quick so if it's something you want to do you'll need to book as soon as the tickets go on sale. See the Halloween decorations and dress up - Awesome! The boys loved it, being able to walk around Magic Kingdom collecting candy at all the spots and seeing the decorations we don't usually get a chance to see. Everyone can dress up too - including adults - so it's hugely popular as people dress up in their favourite Disney character outfits. Everyone gets in the spirit and it's very enjoyable despite being very busy. If you ever get a chance to go to Mickey's Not-So-Scary Halloween Party I'd recommend it - at least once. The fireworks and water show at Hollywood Studios is a great show to see and definitely one to book if you want to make sure you'll get to see it. It used to be possible to just show up on the day and see it but with the park getting more busy with the opening of Toy Story Land and Star Wars Land later this year (2019) you can be sure that booking ahead for Fantasmic! is the best way to ensure you'll see it. Watch Mickey take on the baddies from various Disney movies - will he be defeated or will he win the day? Find out by watching the show. It's on twice daily, we tend to see the later show but if you have little ones this may be too late. LP, at 9 years old, struggled towards the end of the show because he was quite tired. Planning your day around a late show could be a good way forward. In my opinion one of the best shows in Walt Disney World, Hoop De Doo is definitely one you want to book. To get the best chance of a good table you should book as early as possible, we've managed to get a table right in front of the stage by booking as far in advance as possible and it was the best seat in the house! The show is musical and funny, the actors are brilliantly talented and will keep you laughing the entire time. They interact with the audience too, our boys have had one of the actors sing a song about beans for them because they didn't like the beans! It was hilarious! 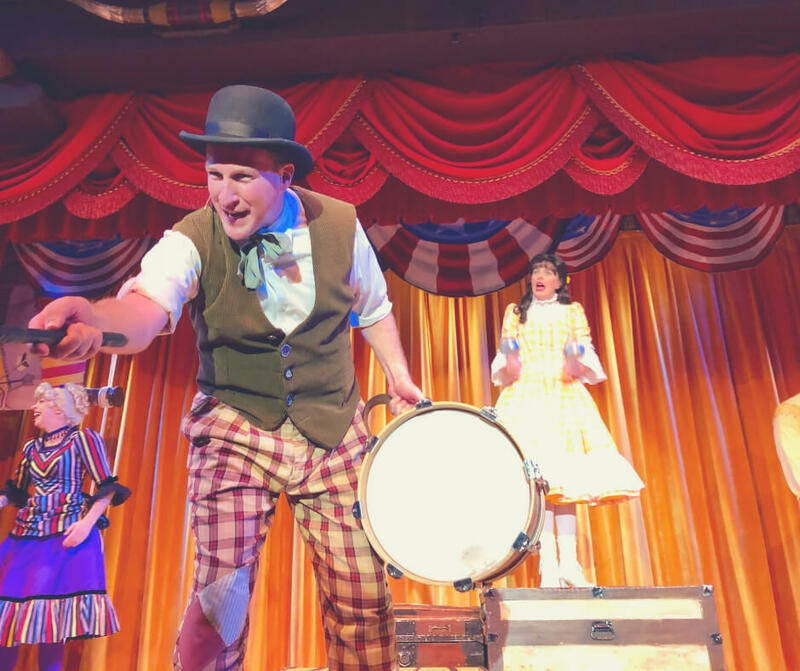 If you book to see anything during your stay in Walt Disney World book Hoop De Doo Musical Revue. These shows and activities are our favourites, and that's why I'm recommending you book ahead of time. Ensure you get the best seat/view possible by booking as early as you can! What are you looking forward to most for your trip? 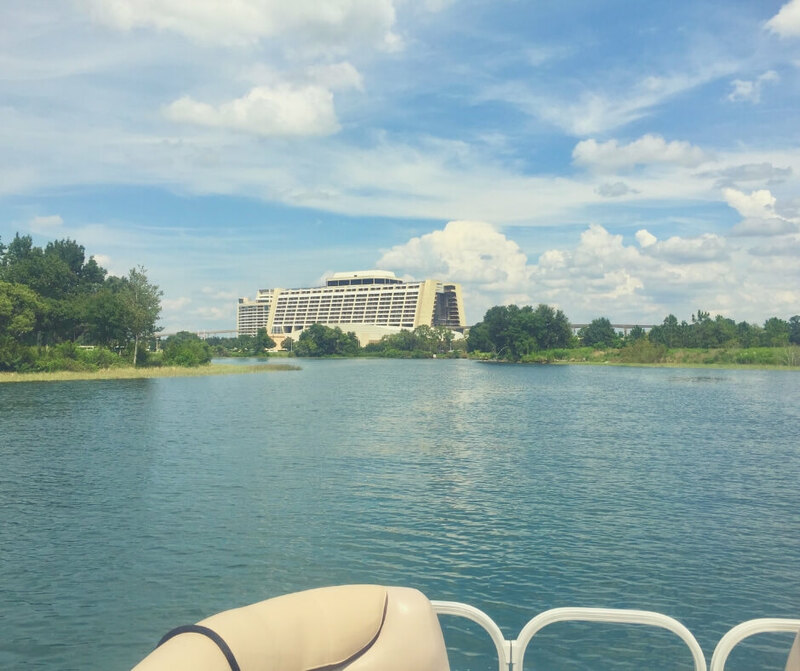 If you enjoyed this post you'll like How to make your trip to Walt Disney World more magical or if you'd like more information about where to go you should check out The best places to eat in Walt Disney World theme parks. Stop by Facebook and let me know which shows or activities you're booking, I always love to chat about Walt Disney World. And don't forget to grab your kids this Wonderful Winter Activity Book to keep them busy on the plane! 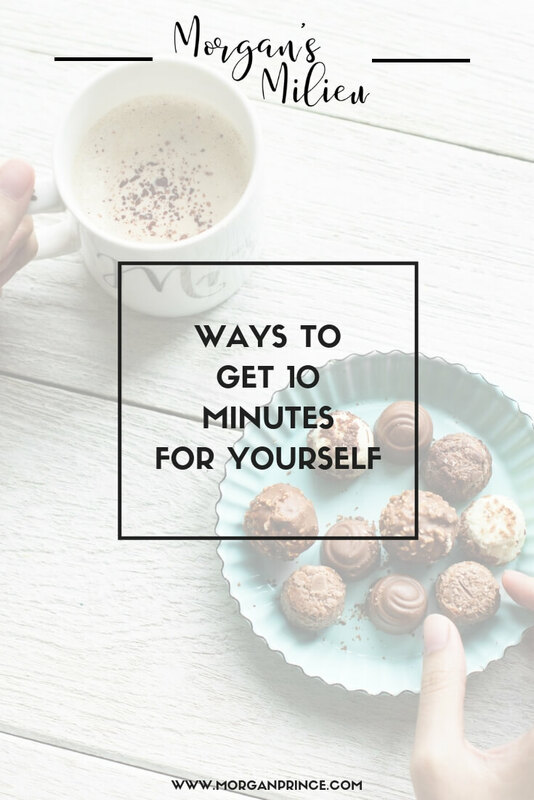 When you're a busy mum getting time for yourself seems laughable, even just 10 minutes can seem impossible. With the kids around your feet wanting to 'play' or have you involved in their bickering, the washing mountain that seems to grow rather than reduce, and the need to come up with - and cook - healthy but yummy meals that everyone will eat, you end up feeling like all your time is gone and you'll never manage to get any for yourself - not even 10 minutes. This is especially worse during school holidays, at least when they're at school you can take care of the cleaning when they're out but with them at home everything becomes more difficult. You have to work around the kids, and follow them as they make a mess in every room in the house. It's exhausting. But there is a way you can get time for yourself. 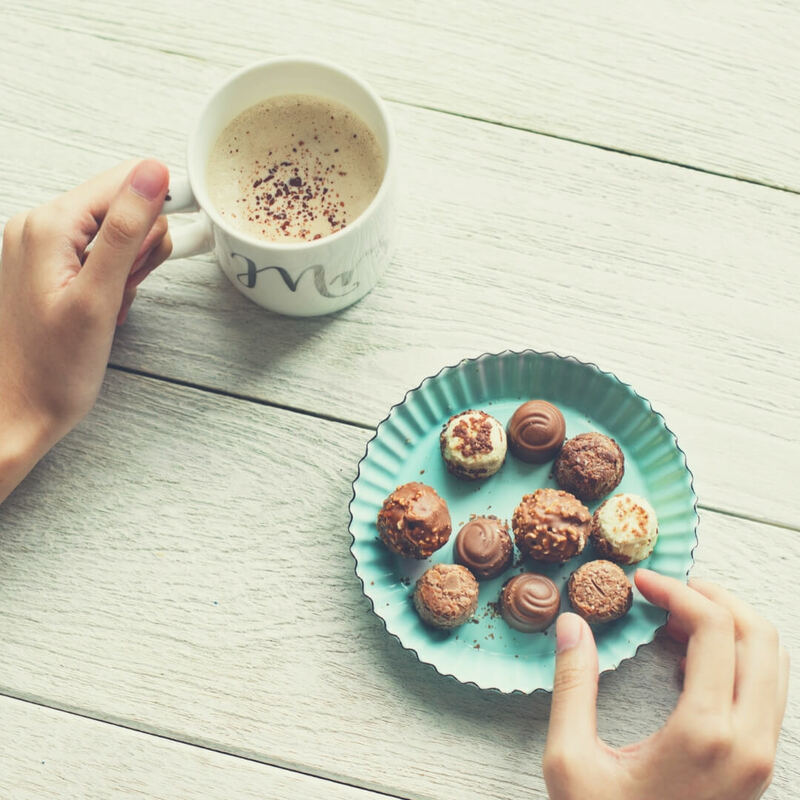 Getting out of bed with all the good intentions is great, but you need to follow through. It's all well and good saying "I'm going to do X today" but you actually have to do X or you're going to feel bad. I always find that getting out of bed and having a quick shower is a great way to get myself motivated for the day. Following that up with my skincare routine, a touch of make-up, and an outfit that makes me smile, and I am ready to go. A shower always helps me get motivated. 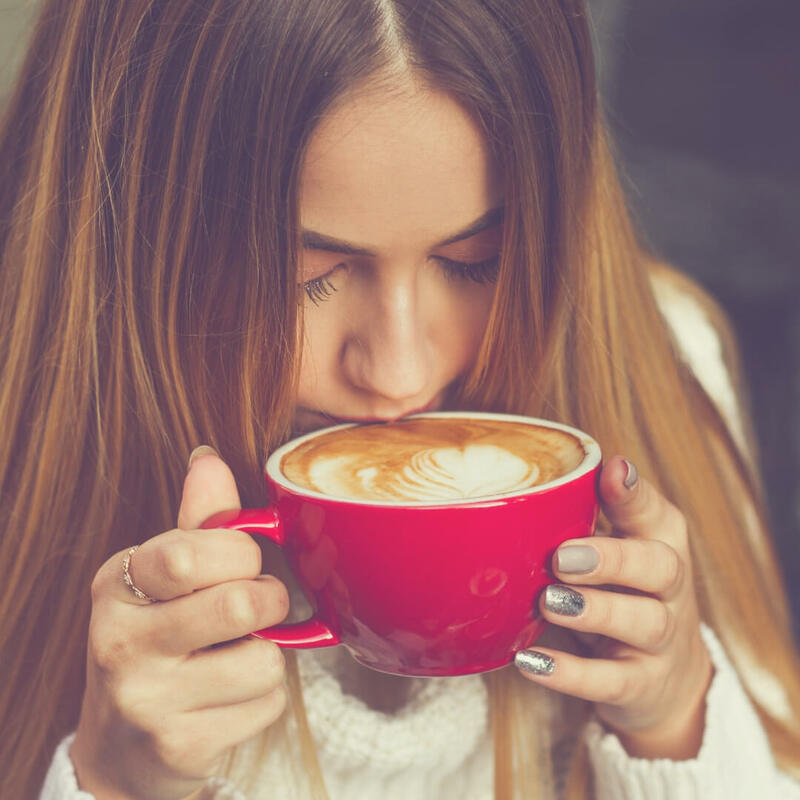 Find the thing that gets you motivated in a morning, whether that's a shower, like me, or perhaps a nice hot cup of coffee that you can drink in peace. 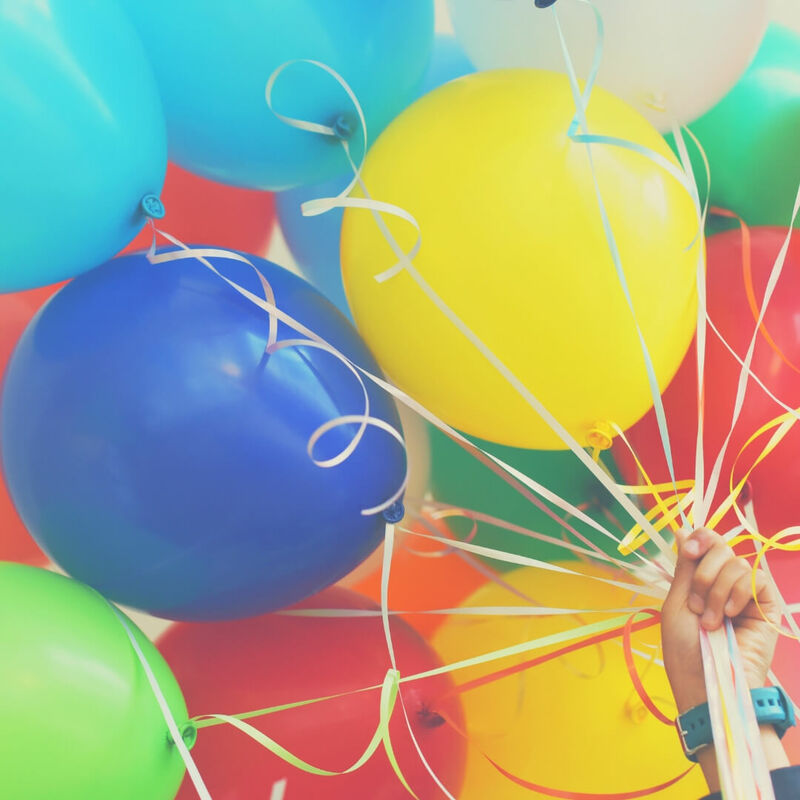 When you're happy you're generally more motivated and being motivated is key to getting extra time for you. Chores are a pain. They never go away and sometimes they seem to take forever. Believe me, I get down about it all occasionally and feel like I'm just running on a treadmill or living Groundhog Day. The washing never goes away. The dust keeps settling. The ironing stares at you from the basket. But again, mindset is key. I like to tackle my chores first thing, once I've had breakfast (and a coffee!) I get on and do my chores. First I fill the dishwasher with the dinner plates from the night before and all the breakfast things. Once the dishwasher is on I put the washing machine on too - then I set a reminder on my phone to come back to the washing machine when it's finished. With the machines doing their thing I head back into the kitchen where I wash anything that couldn't go in the dishwasher, then I wipe down the kitchen sides. Within about 20 minutes the kitchen is clean, even during half term when the boys are home. I save any ironing I have for when I'm watching TV, I can multitask (kind of). When the kids are home it can sometimes be tough to come up with ideas that will keep them occupied for a while. But if you have a host of things in your "activities" arsenal you'll find it easier to go through the list and they're sure to say yes to something. 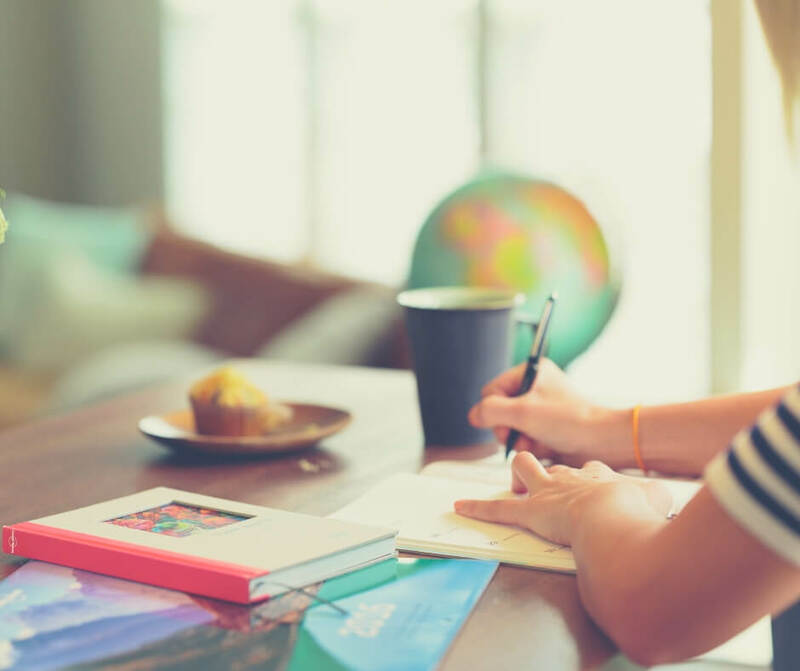 Activity books, movies, and building forts are just a few of the ways I keep my kids occupied. LP loves building forts and will often spend an entire day inside the fort once it's built. BP is easy, as a teenager really all he wants to do is watch movies, and would happily spend the day watching his favourites but I do like to mix it up so I'll make him do other stuff too. You can sit and watch movies with them (enjoy a coffee while you do!) or you can sit them down and let them watch it on their own. This way you'll get a little time to do something you like. Activity books are great - they're full of pages that make the kids use their heads, but are also easy enough that they don't usually need your help. And as for forts - they're sometimes the best thing you can do to get 10 minutes for yourself. Forts are magical. 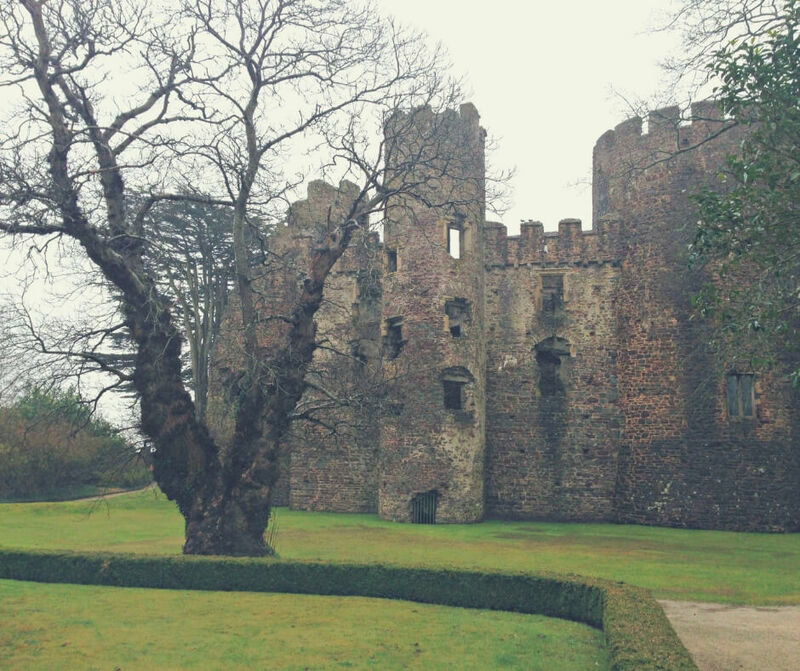 The kids can see the blankets and furniture but once they're inside their imaginations take over and they're suddenly inside the castle, hiding from a dreadful monster, or they're in a tunnel waiting for the awful storm to go away. I love how the kids' imagination can take them somewhere special while they're underneath some blankets that are draped over a few chairs. Magic. As much as you can being organised really helps you identify time that is free. If you spend your morning getting chores done and coming up with plans for the kids you'll suddenly find you have a little time with nothing to do. 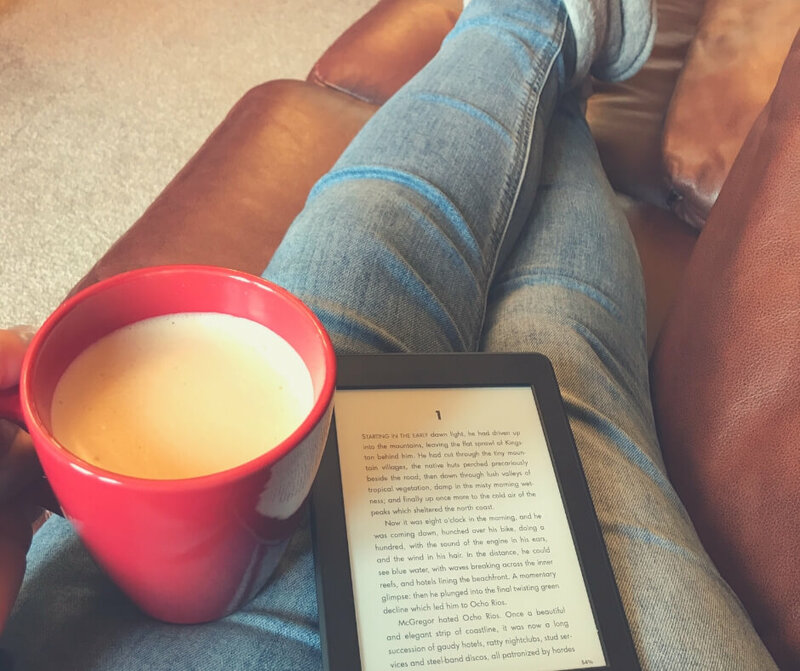 When the dishwasher is doing its thing, when the washer is mid-cycle, and when the kids are enjoying their imaginative fight against the monster, you can read a chapter of your book or enjoy that hot coffee you've been craving all day. 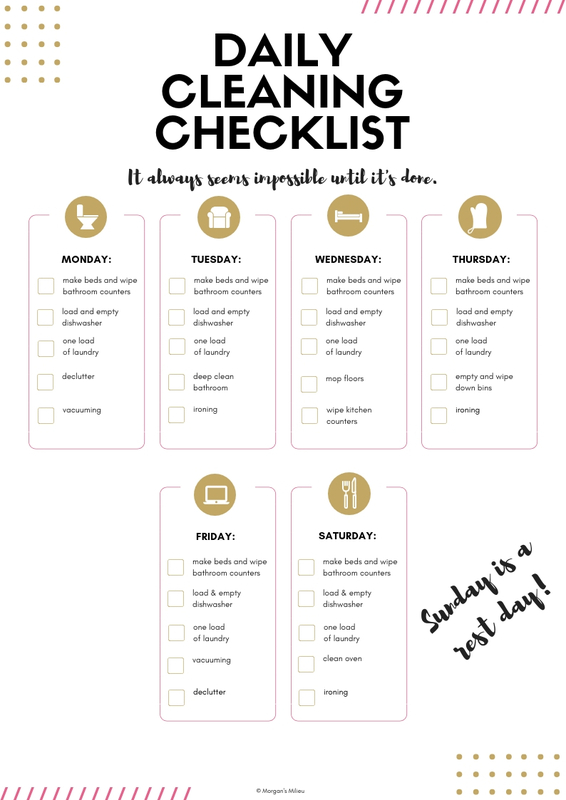 I have found that being organised makes a huge difference to the amount of things I can get done in a day as well as giving me extra time for myself. 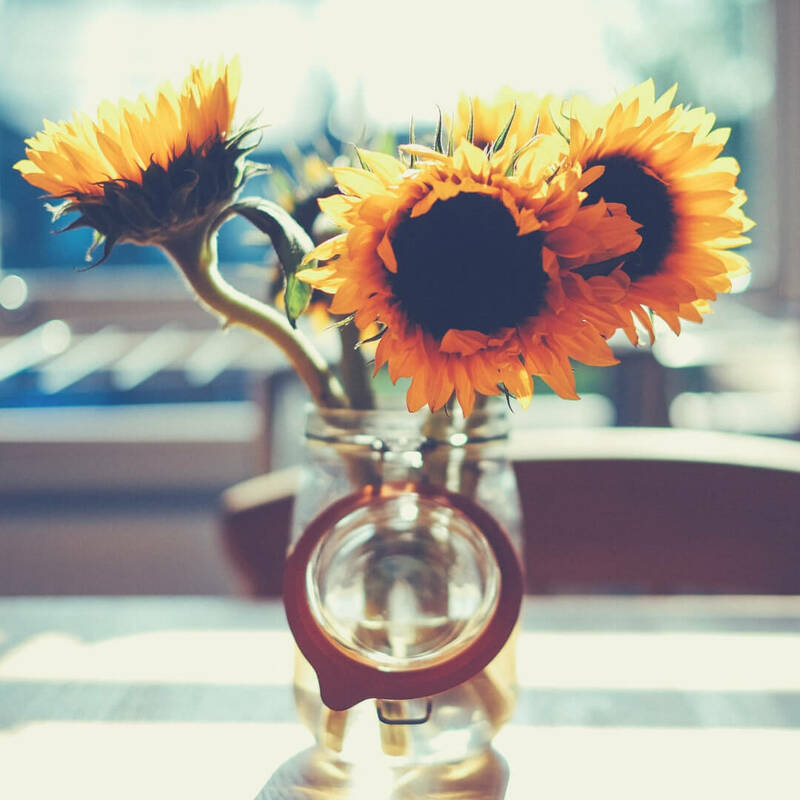 Organisation and scheduling can really help you get 10 minutes for yourself, and you may even find that you get more than 10 minutes! How do you get time for yourself? 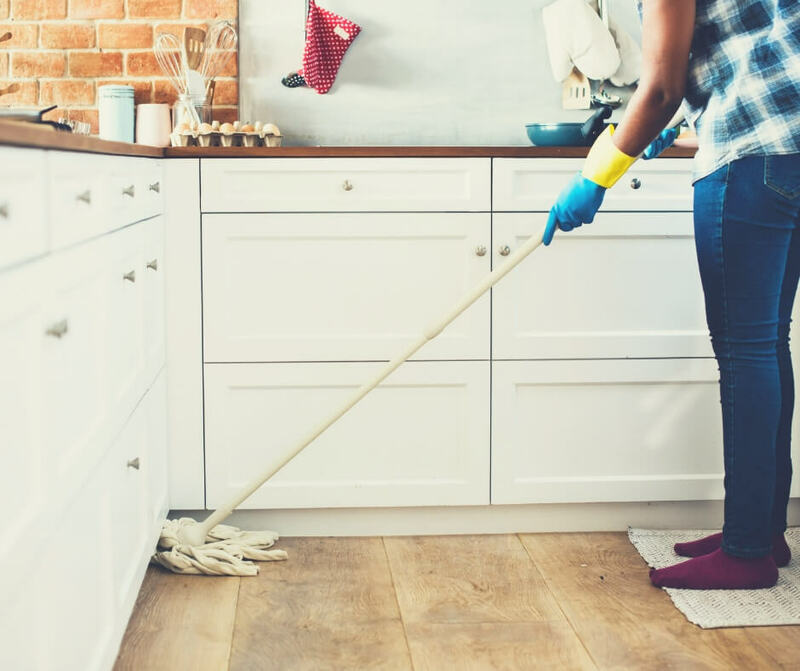 If you enjoyed this post you'll like 13 simple ways you can become a more organised mama or if you're looking for a few cleaning hacks to make the chores go easier check out Cleaning hacks to save you time! Stop by Facebook and let me know how you spend the 10 minutes to yourself. And don't forget to grab the Wonderful Winter Activity Book for your kids, it'll keep them busy for at least 10 minutes! 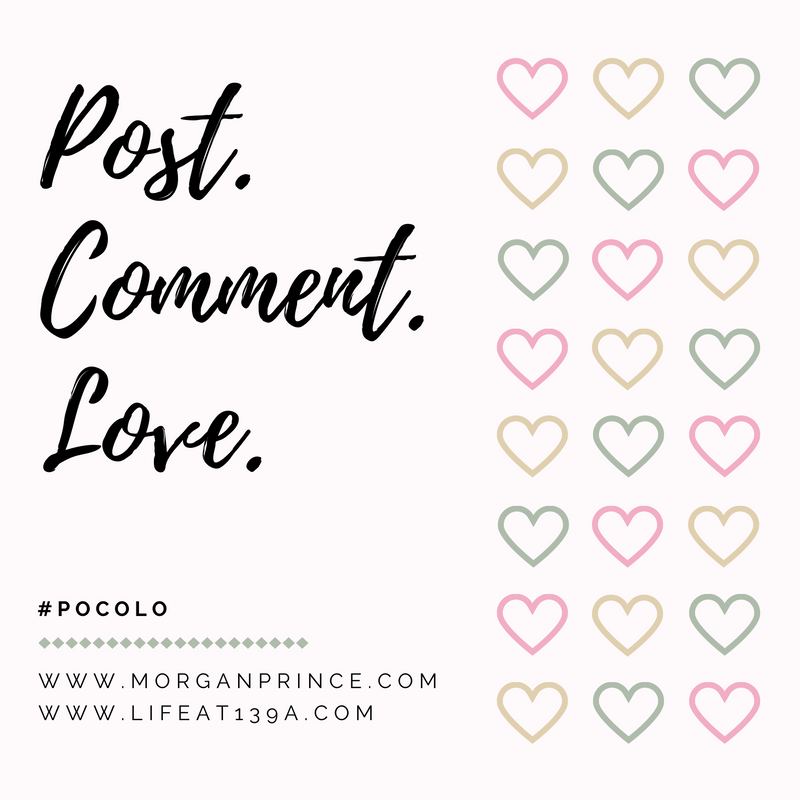 It's Post Comment Love time - yes, it's Friday again! 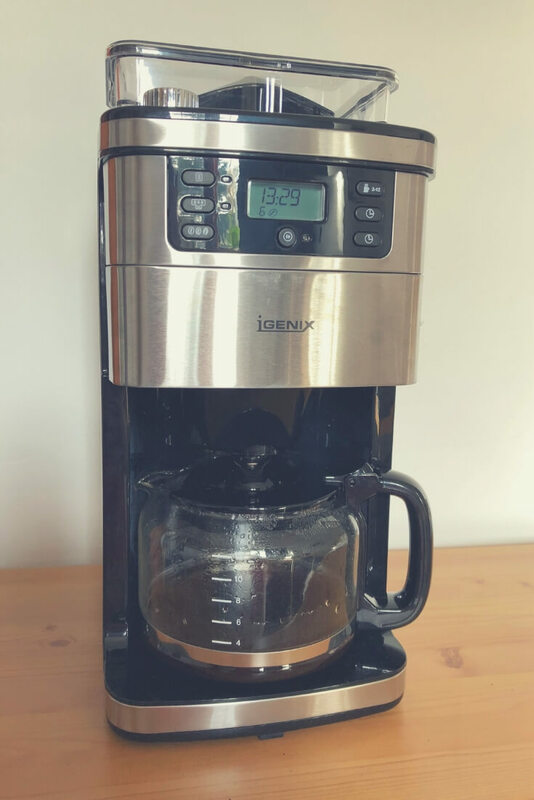 Join Stephanie and me for another week of our little linky where we welcome all bloggers all topics and enjoy reading about your week. We're almost at the end of half term week so I've had the boys at home this week. Or rather I've had BP at home all week and LP has been off at his sports club for 3 days then at home. It's always eerily quiet when LP goes out for the day - he's the noisy one I guess! It's the Hubby's birthday today too so we'll be celebrating together a little later. Cake is on the cards - yay! Birthdays aren't a huge deal when you're older are they, but it's nice to try and get a little celebration in there. We may even go for a meal - we'll see. As I've got the boys at home and it's Hubby's birthday I'm making it a short update today. Enjoy your weekend. I am Gemma, a mum of 4 from Yorkshire. I love writing about parenting, finances, work, employment, business, property, parties anything that takes my fancy really. 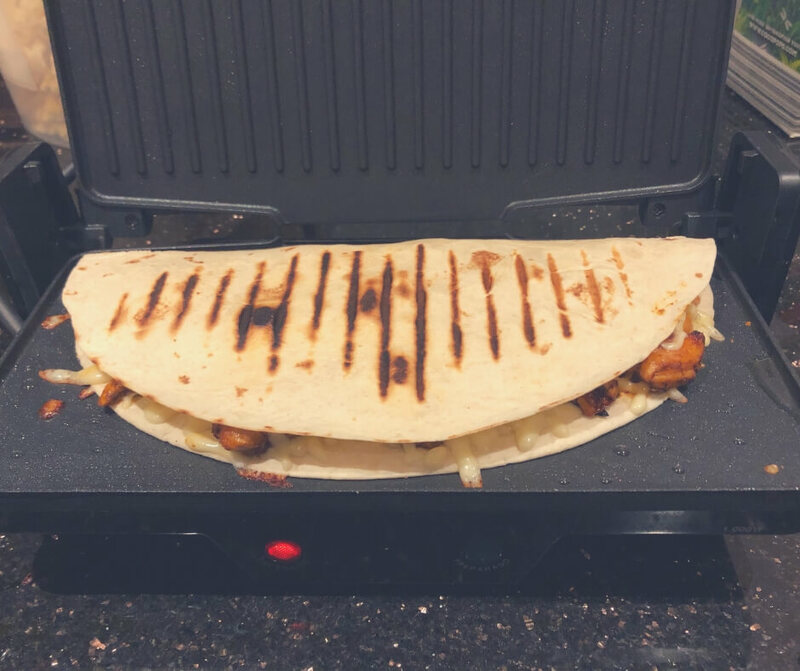 I started blogging in August 2018 and have just kept writing. I discovered blogging purely by accident, I have always liked writing and putting down my thoughts and I was reading something one day and came across blogging and then came across an event that was happening about a month later so I paid the fee and signed up to the event and went there and haven't looked back. 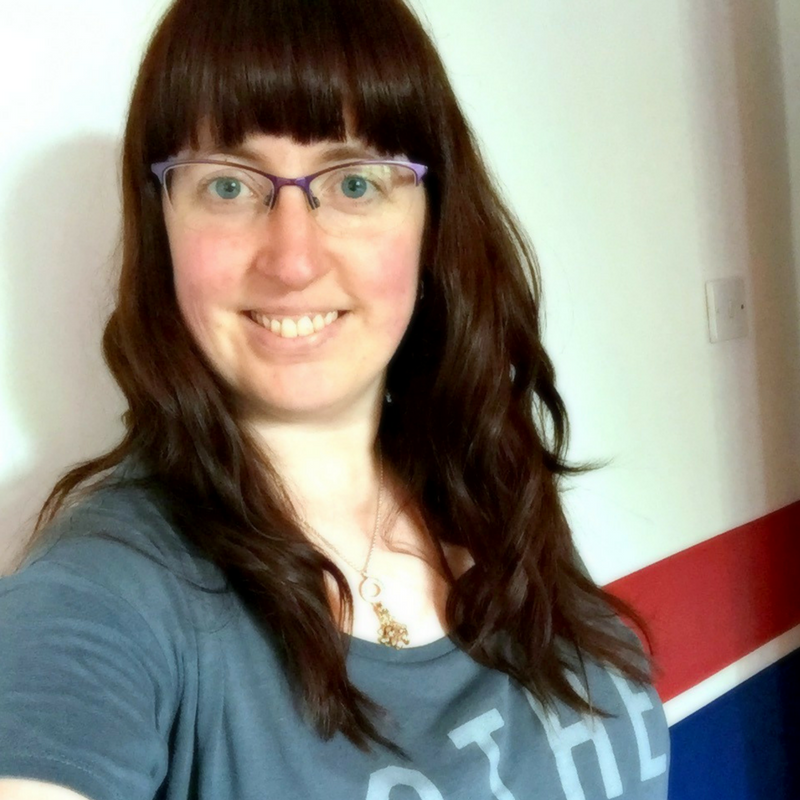 I started blogging just because I want to share my thoughts, ideas and things I have learnt, because I love a challenge and enjoy the fact people are reading my things and am enjoying the community that is the blogging community. 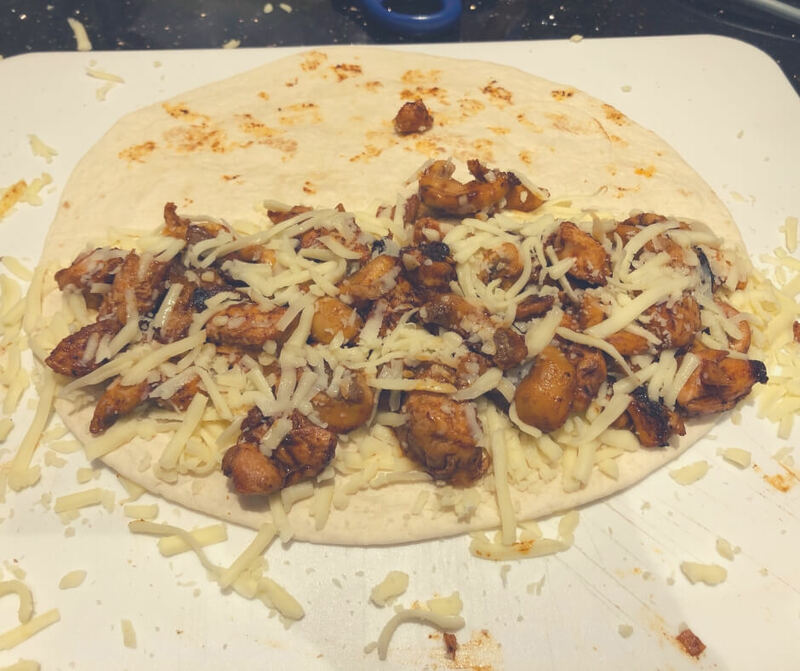 The challenging bits sometimes are creating posts that are long enough, some times I have ideas but there isn't enough words to make a decent length blog post so I wish I had more to say sometimes. I also struggle with inspiration sometimes so I do tend to write in advance to save me from writers block. I find planning for occasions really helpful. My favourite topic is definitely finance, I love finance and anything about money however I have found there is only so much can be written about this so I ran out of things pretty quickly. Next year I am focusing on my diet and also a lot of home renovations so I can write about other things that are happening in my life. I think it is a good idea to have goals so to continue building my following, creating more of a brand feel and just keep pushing towards growing, meeting new people and networking however I don't want to really make money from my blog. 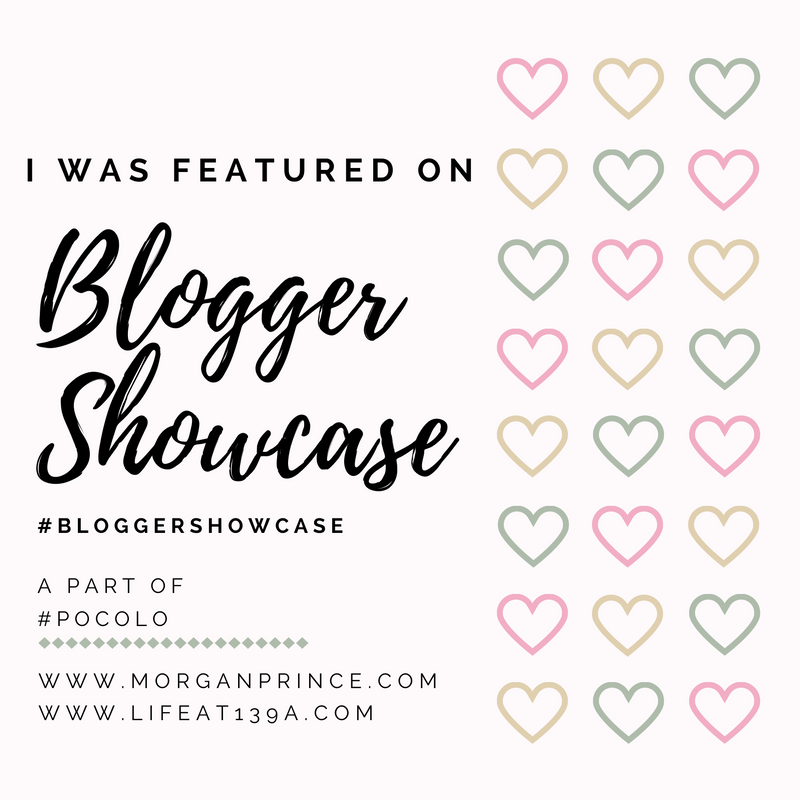 I attended my first blogging conference a month after I started blogging and it was great, the people were so friendly and nice and I got quite a few opportunities and contacts from it. My 3 best posts are my Xmas Gift guide because it took a while and it was my first big one, my other is a post about the importance of reading because I think reading with kids is so important for their learning and my 3rd will be published 1st January and it is basically a 101 guide of what I have learnt in blogging in the 6 months I have been doing it. I love the reflective type posts. If I described myself in 3 words I would say ambitious, chocolatey and misunderstood. I love tea and cake and have never even tried coffee but I love a Victoria sponge any day with a cup of tea. A perfect night out would be a meal with the husband, something traditional and home made, then a delicious dessert and then possibly the theatre with a few drinks afterwards and a boogie. Perfect night in would be a board game, a movie, a dance, some chocolate and cuddles. Oh and a massage because I love massages. My other half would describe me as frustrating but amazing, my mum would say I am resourceful, my kids would describe me as the best I imagine and hope. 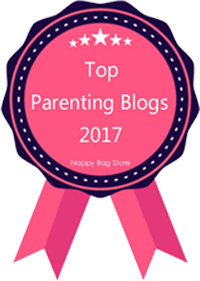 Thank you for taking the time to answer our questions Gemma and feel free to grab our featured badge and display it ever-so-proudly on your blog. 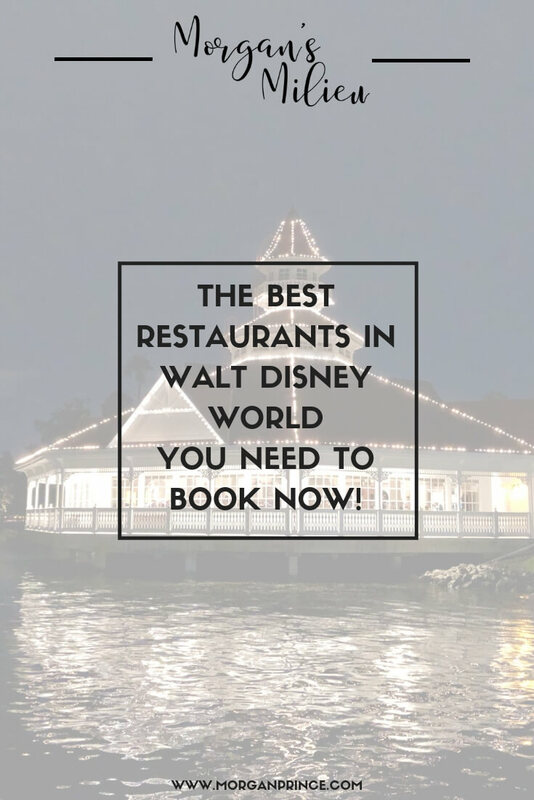 The best restaurants in Walt Disney World you need to book NOW! 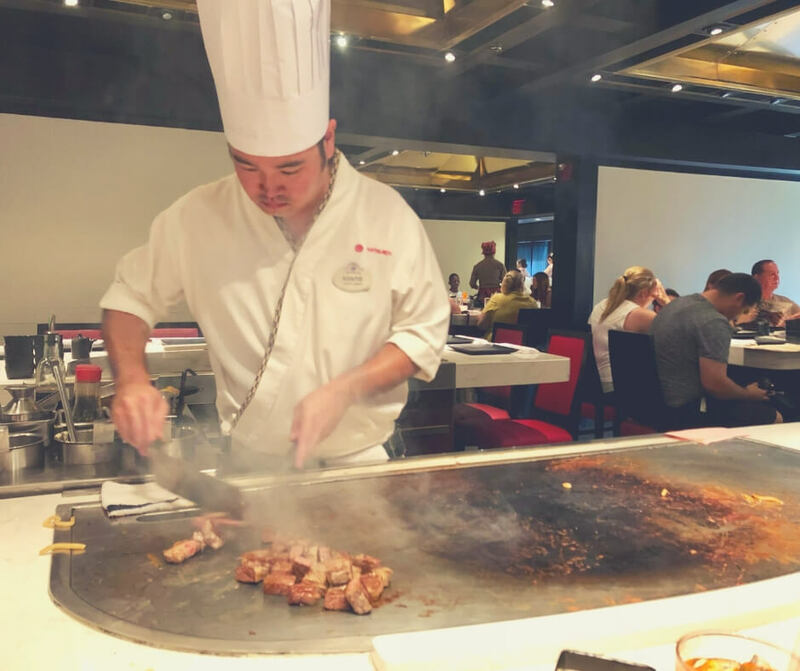 In the times we have visited Walt Disney World we've gathered quite a list of restaurants we love to visit. There are restaurants that require booking way ahead of time, and some that you can just walk up to but I believe it's still better to book ahead of time. Booking your restaurants helps you to plan your holiday as well as knowing what you'll be eating that day. Using our list of favourites here's a few of the best restaurants you should book NOW. 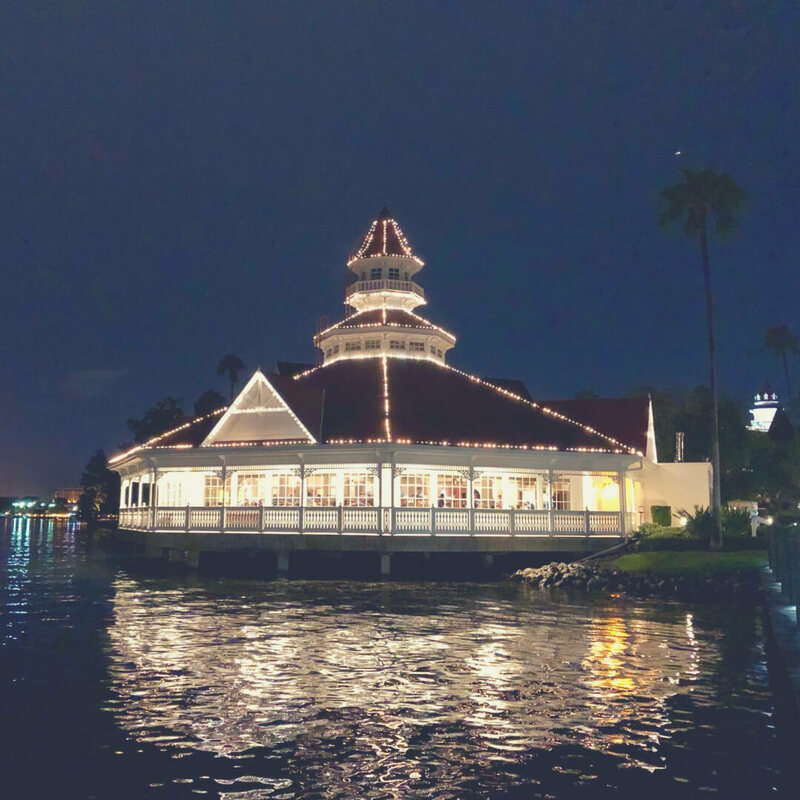 You can find this restaurant on top of Contemporary resort, it has a wonderful view over Magic Kingdom and if you book for the evening around the time of the Fireworks display at Magic Kingdom you can sit and watch the show while enjoying your meal. They even play the Fireworks show's music in the restaurant. 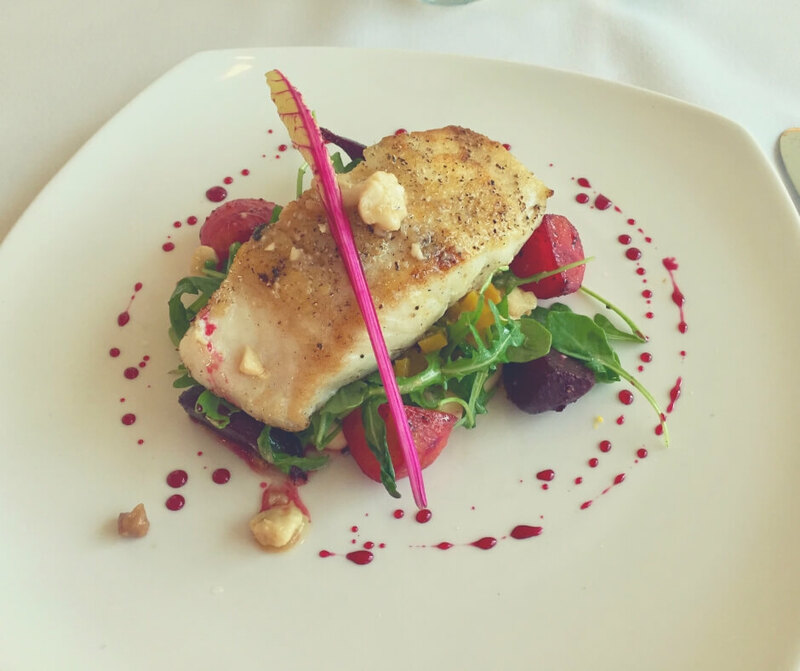 You should definitely try the halibut! The food at California Grill is AMAZING! It's a great place to try something new because the food is so good I don't think there's anything you won't like. 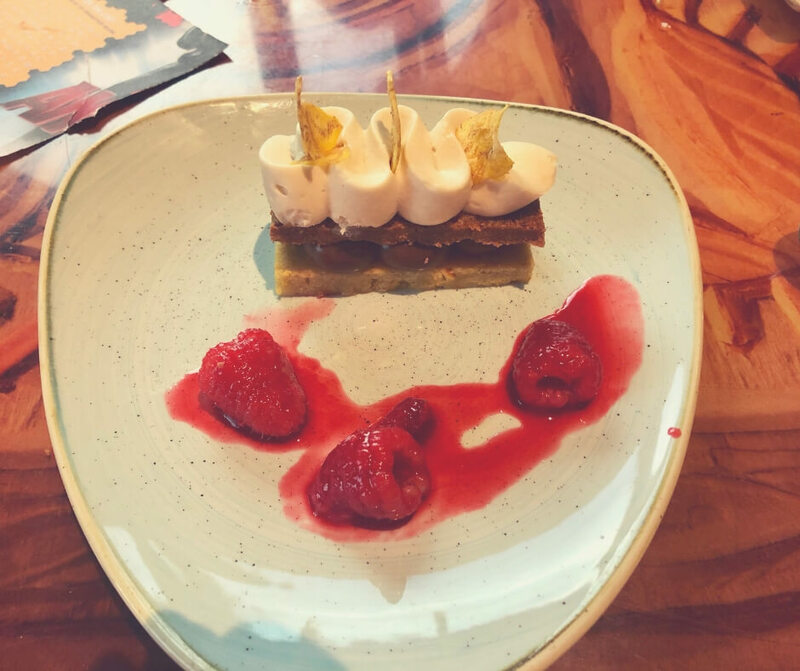 The desserts are both delicious and spectacular to look at. And the boys love it too - there's great choices for the kids, being both special but kid-friendly. Like the candy sushi LP had a few years ago! 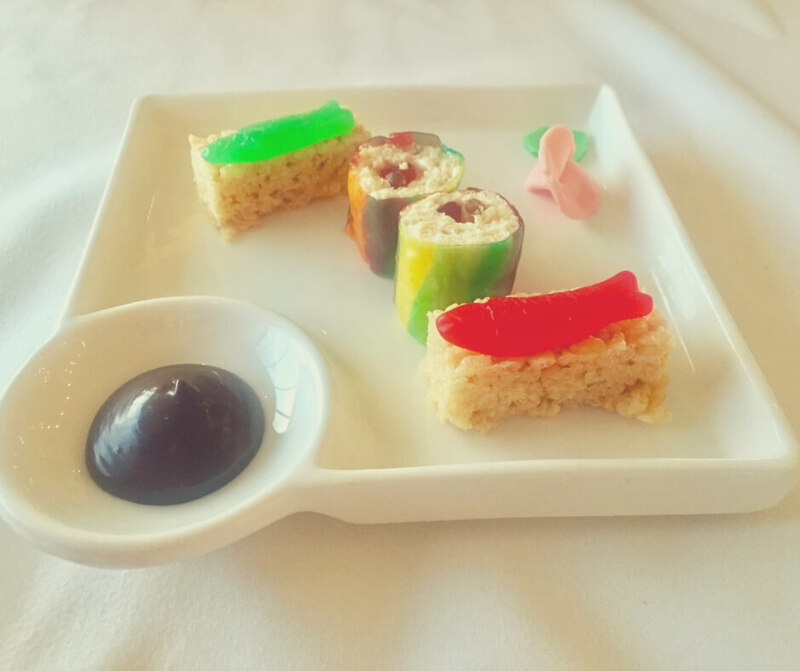 LP's candy sushi - kids will love it. A gorgeous view through the windows at Sanaa. As British people we love curry don't we? Sanaa is a place you can find curry in Walt Disney World - but it's not like the curry we know in the UK. You get to choose three options for your main which means you get to enjoy three different things at once! There's curry options like Butter Chicken or Braised Beef, and you can try out the Aloo Masala (which is SO good), as well as other options, and of course there's rice. 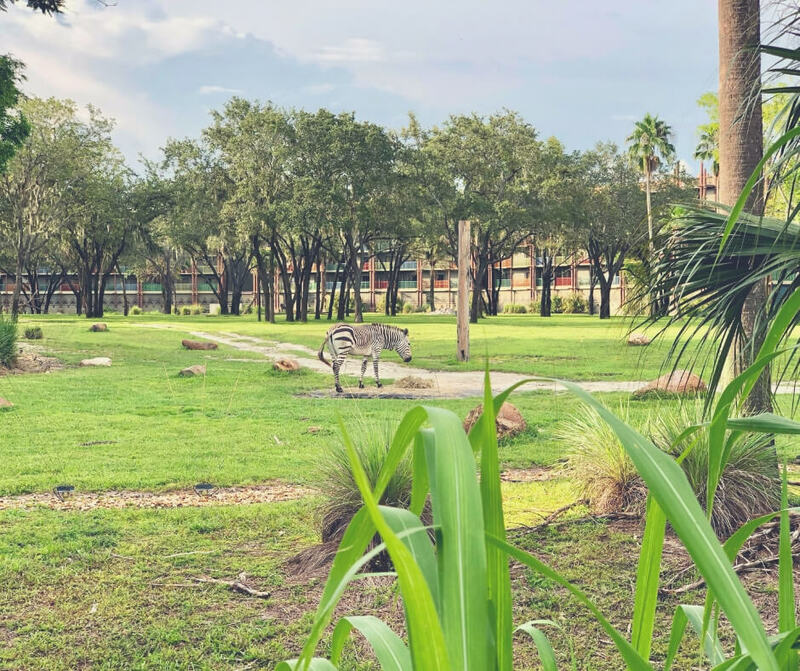 Sit inside an African inspired decorated restaurant and look out onto the beautiful Savannah where you can watch birds, zebra, and more wander around. The staff are helpful and friendly and always welcoming. Shortbread chocolate sandwich with raspberries - delicious! We love Sanaa so much that we visited three times during our trip in Summer 2018! If you like seafood Narcoossee's is for you. Lobster, halibut, and salmon as well as steak and sometimes even pork chops, can be found on the menu and they're all divine. One of the more expensive restaurants in Walt Disney World Narcoossee's has fantastic food, exceptional service, and a beautiful view over a lake. 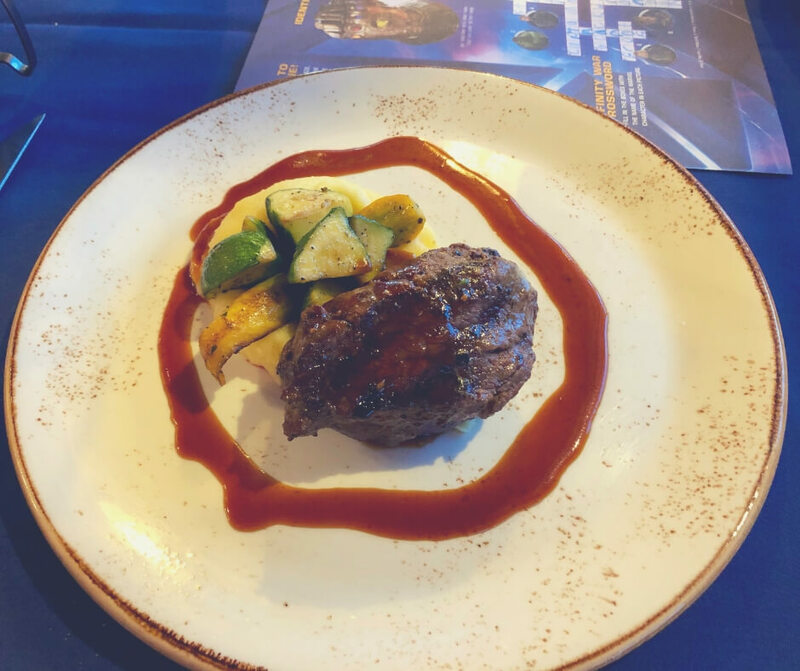 The steak is amazing, and - while it doesn't look it - very filling. The kids are welcomed at Narcoossee's too - there's always a great kids' activity sheet to keep them busy and the choices are great. 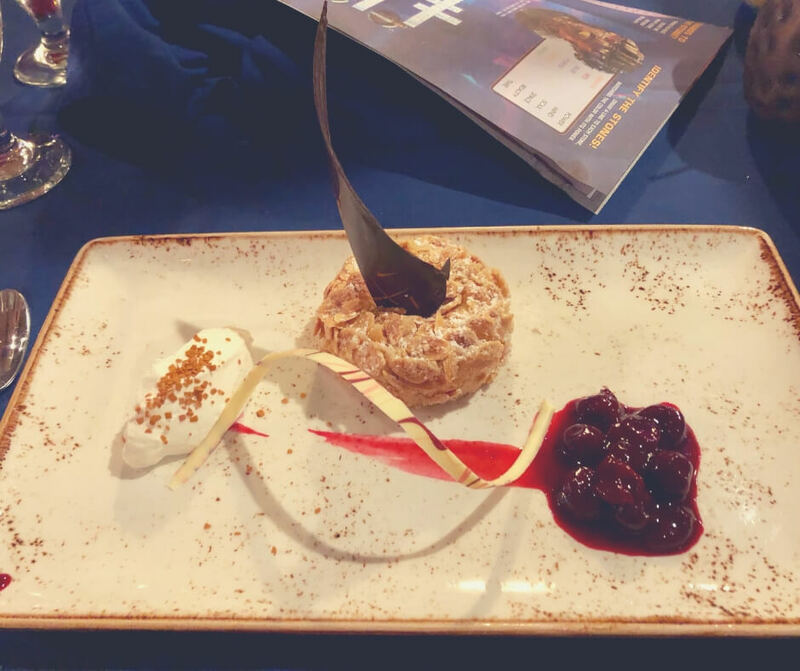 Desserts are delicious and sometimes even entertaining! Hubby had a chocolate slice once and the decoration was brilliant - quite the talking point. Parfait covered in almonds - SO good. Watch your food being cooked right in front of you. Sushi, noodles, and steak is on the menu at Tepan Edo, and it's all cooked right in front of you by a talented chef. 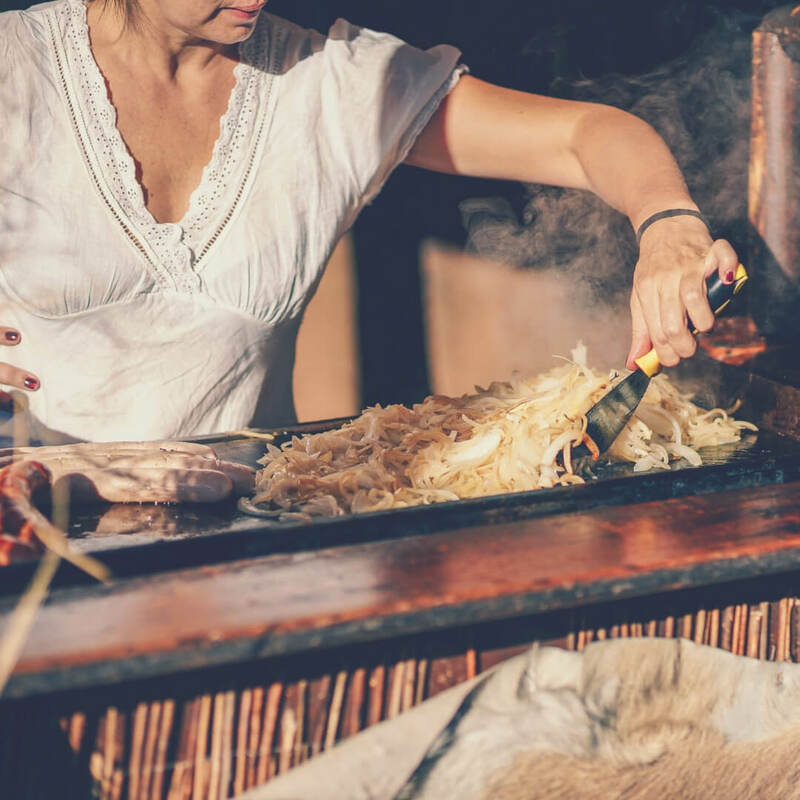 Be entertained by knife throwing, say hello to Mickey, and watch your chef create a volcano out of onions! My favourite starter by far - Volcano Rolls. Not only is Tepan Edo entertaining but the food is good too. 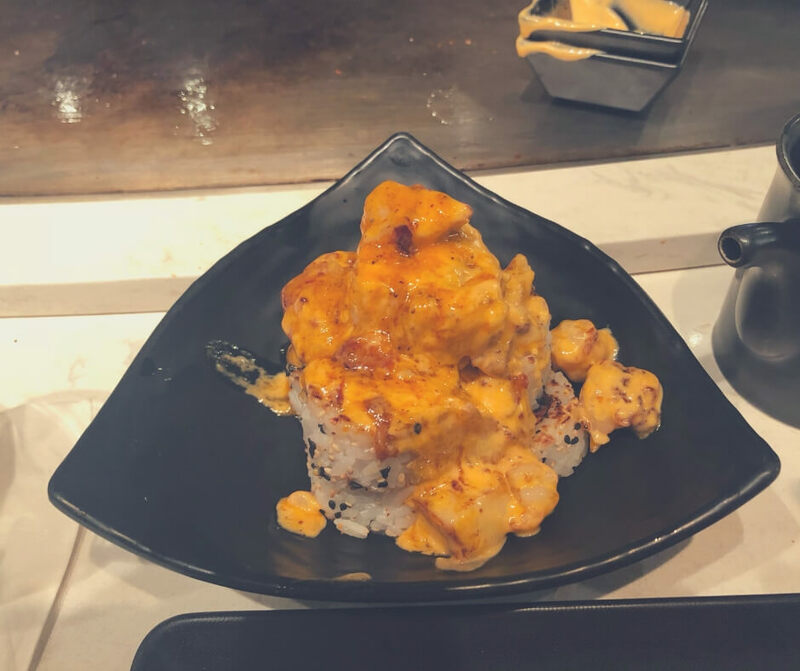 If you like sushi you HAVE to try Volcano Rolls which are SO good, but there's also chicken, steak, and prawns to choose from to go with your noodles. There's always plenty of soy sauce on hand for dipping but there's also 3 different sauces to go with your meals and they're all good too. 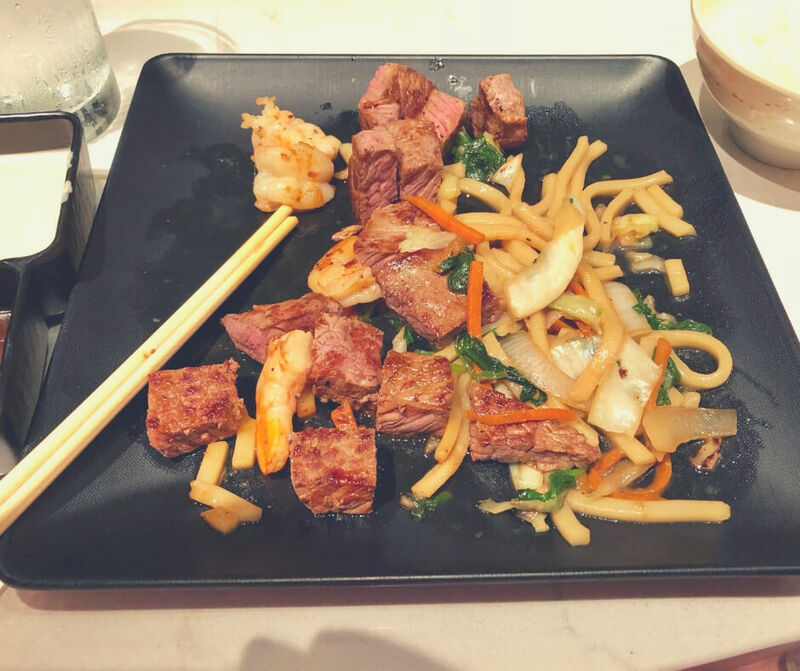 Steak, prawns, and noodles - my favourite! Adults can try out cocktails - which are refreshing - and there's plenty of choice for the kids. 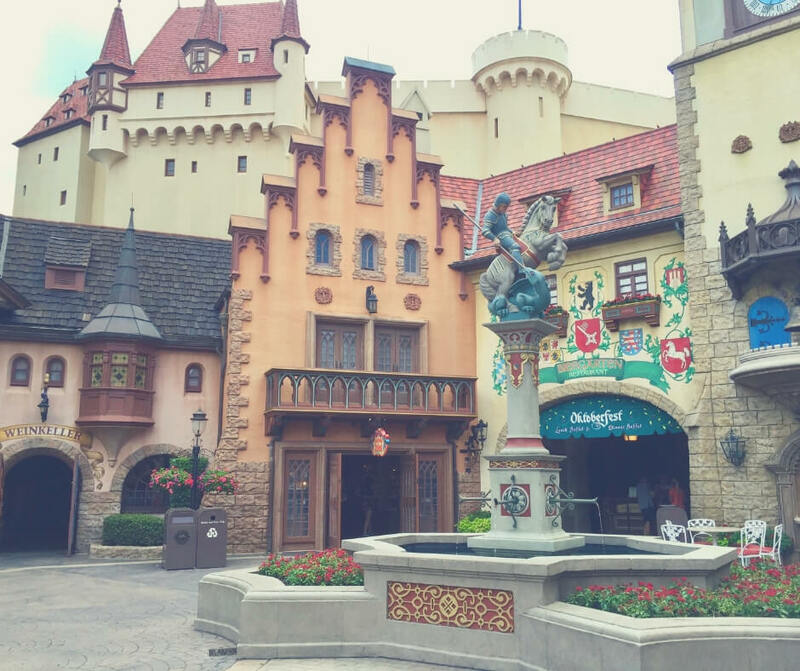 In Germany in Epcot Biergarten is a great place to get some time out of the sun and enjoy some traditional german cuisine. A buffet selection, which means you can eat as much as you like (! ), including traditional sausage, potatoes, and Sauerkraut as well as Schnitzel and assorted desserts. Adults can enjoy an alcoholic beverage - whether wine or beer - and soft drinks are on hand for the kids. But there's something a little different about Biergarten too - the entertainment. Watch Oktoberfest celebrations and sing or dance along as you're entertained. 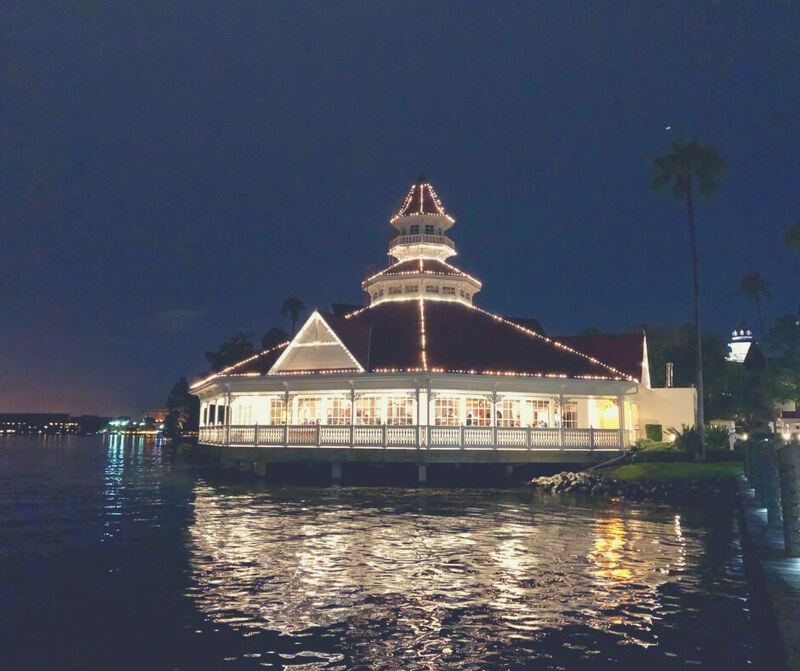 Situated in Disney Springs this restaurant was added to our favourites list last summer (2018). We happened to visit because we'd walked past and were able to get a booking at the last minute, which immediately resulted in us booking again! 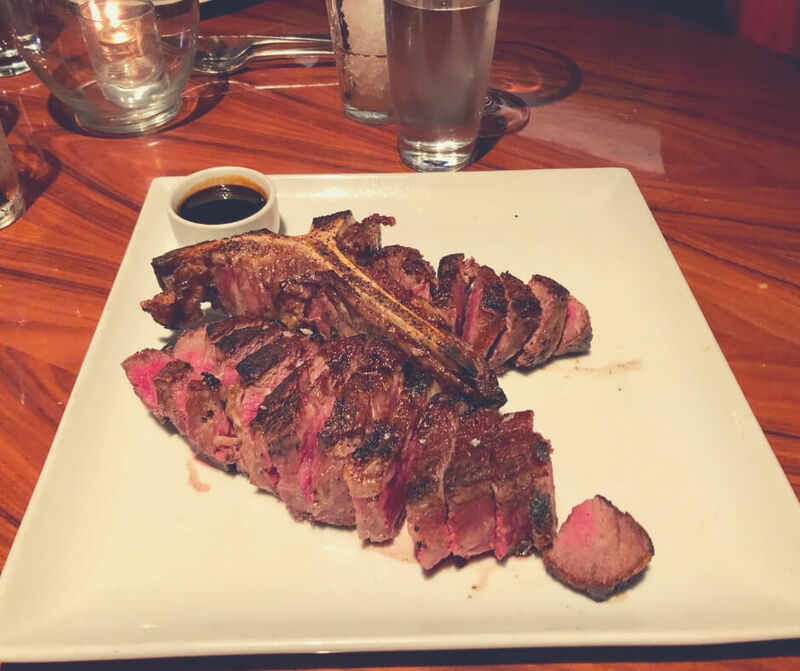 Of course you can have some delicious steak at STK Orlando but I would recommend trying the Grilled Octopus - we tried it out just as a test really and it was divine. Even the kids liked it! One of the best restaurants we've been to in all of Walt Disney World and definitely one we'll be returning to. Medium rare steak - Yum! Steak isn't the only thing on the menu, you can choose seafood - which is good too - and even chicken. The decor is both odd and mesmerising and the music was entertaining. The Hubby and I sat down and sang along to songs we'd not heard in years - it certainly took us back, and made us smile. If you grew up in the 80s/90s you'd definitely enjoy the music selection! These are just a few of our favourites, but there's also The Edison located at Disney Springs, Boma at Animal Kingdom Lodge, and Via Napoli in Italy at Epcot. I'd highly recommend booking these restaurants ahead of time, they do get booked up and it's better to book than be disappointed! 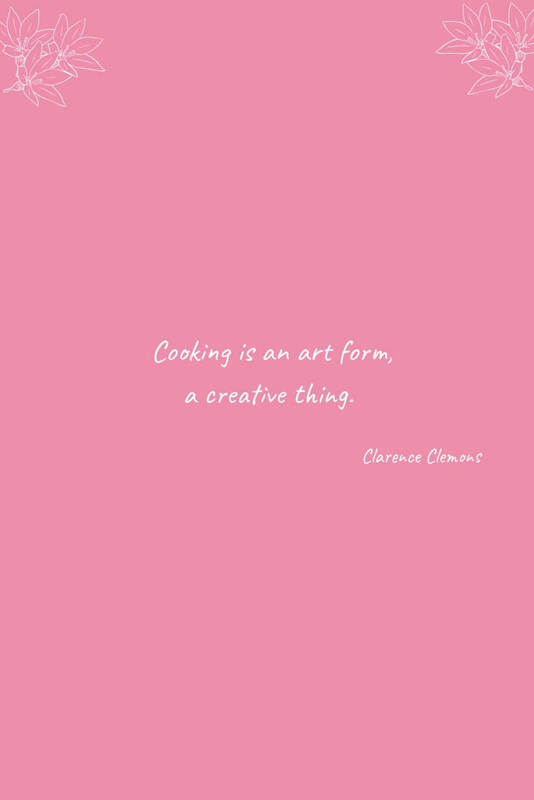 Which restaurant are you most looking forward to visiting? 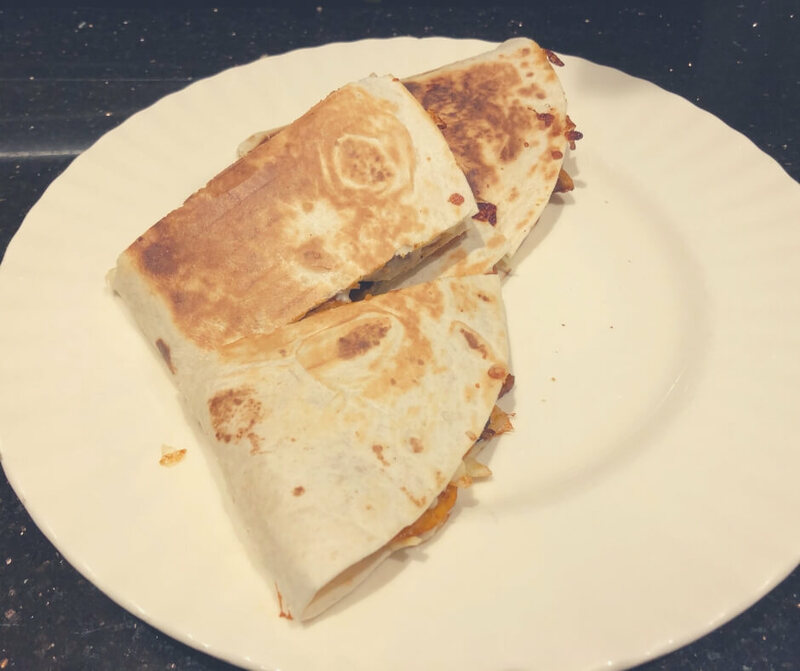 If you enjoyed this post you'll like The best snacks to try in Walt Disney World or if you're looking for more ideas here's 17 must dos for your first visit to Walt Disney World. Stop by Facebook and let me know which restaurant is your favourite. And to keep the kids busy while you plan your trip grab this Wonderful Winter Activity Book. When you're a busy stay-at-home mum it's easy to take care of everyone else. 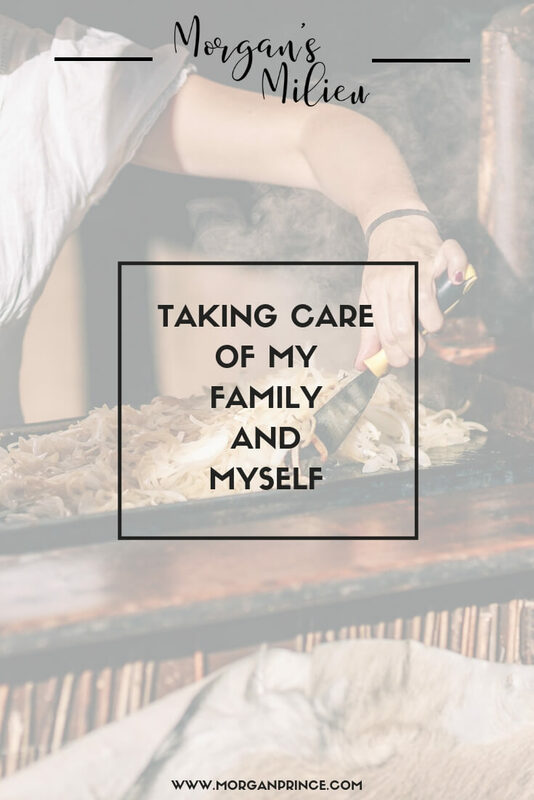 You spend your days cleaning the house, driving the kids to and from school, cooking all the meals, and generally making sure everyone is happy and healthy. Everyone except yourself. At some point you crash, catch the flu, the sickness bug that is going around school, or basically wear yourself out to breaking point. And then you're not helping anyone - except you still try, and that makes the illness last longer. 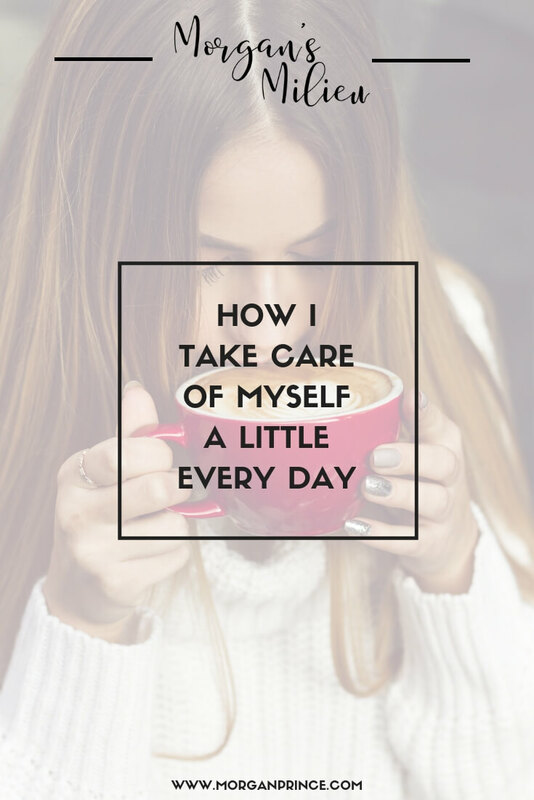 That's why it's so important to take care of yourself a little every day, and today I'm sharing how I take care of myself a little every day. I'm not big on make up or spending hours on end making myself look "pretty". I tend to get up and have a quick morning routine. But over the last few months I have added to that routine to integrate some things that help me take care of myself. There is no picturesque version of what self-care looks like; it's different for every person who wants to practice it. I never bothered with lots of creams or anything until recently. I noticed the skin on my face becoming dry and flaky and I knew I needed to do something about it because it was starting to itch too. It was irritated and distracting me, so that made me want to do something. 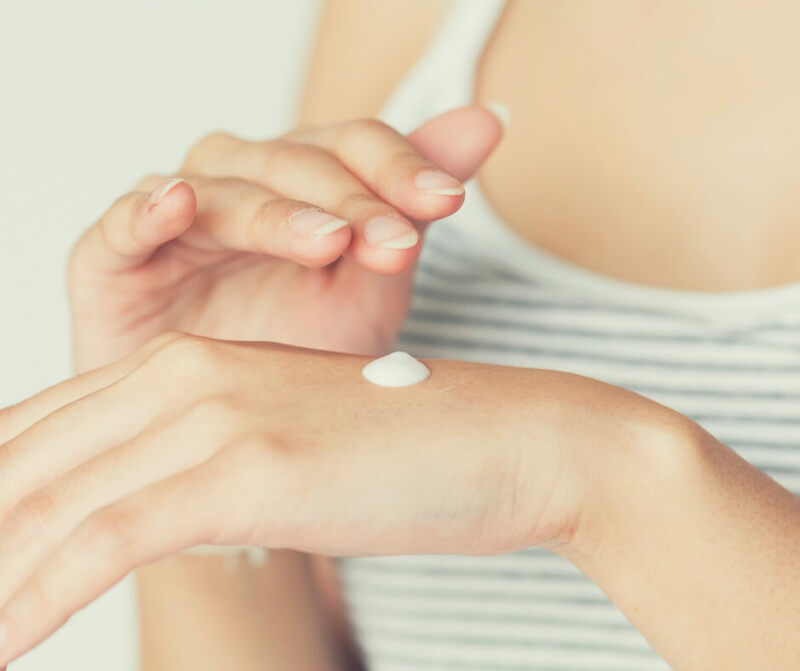 Having sensitive skin can mean that any cheap creams irritate more so I had to be really careful with the creams I chose to use. Thankfully I had a trip to Eden Hall - a wonderful day spa in Nottinghamshire - and a facial there helped me to learn about the creams I need to use. So anyway, getting to the cream. It turns out that even No7 day cream from boots, which doesn't have any chemicals or anything, irritated my skin. But the creams and toners that were used during my facial at Eden Hall didn't. The Elemis range of products is brilliant, and actually helped my skin once I started using them. They're quite price, unfortunately, but it's what I need so I'm treating myself to some good cream and toner. I use the Hydra-boost range and love it - it helps my dry skin and doesn't irritate or make me itch. When I head downstairs in a morning I love to have a coffee and sit quietly before anyone else gets up. Sometimes the Hubby will be up at the same time, but that's okay because he'll sit reading the news while I enjoy my coffee. It's a little bit of me time before the hectic day begins and I can think about the day's plans and decide the order of things. Being organised really helps with having extra time for yourself. Getting that little bit of time before the day begins properly helps me. I can be calm for a little while, take in my tasks for the day, and give my brain a boost before it all begins. After my coffee I get the boys up, set about my morning chores, and make sure the boys are ready for school. I like to get a few jobs done before the school run so I'm not having to clean up while cooking dinner, or after eating. Fill the washing machine and switch it on. Set a reminder to check it later. Fill the dishwasher and switch it on. Pick up any bits in the lounge. As I do these jobs every day they rarely take more than about 30 minutes to complete, which means I can get them done before the school run and still have plenty of time to spare. After spending my morning in my office working on the computer I take a proper lunch break. This is easier because the Hubby works at home too and we eat our lunch together. We usually sit and watch our favourite TV show while eating lunch. We both step away from our work and take a proper break. 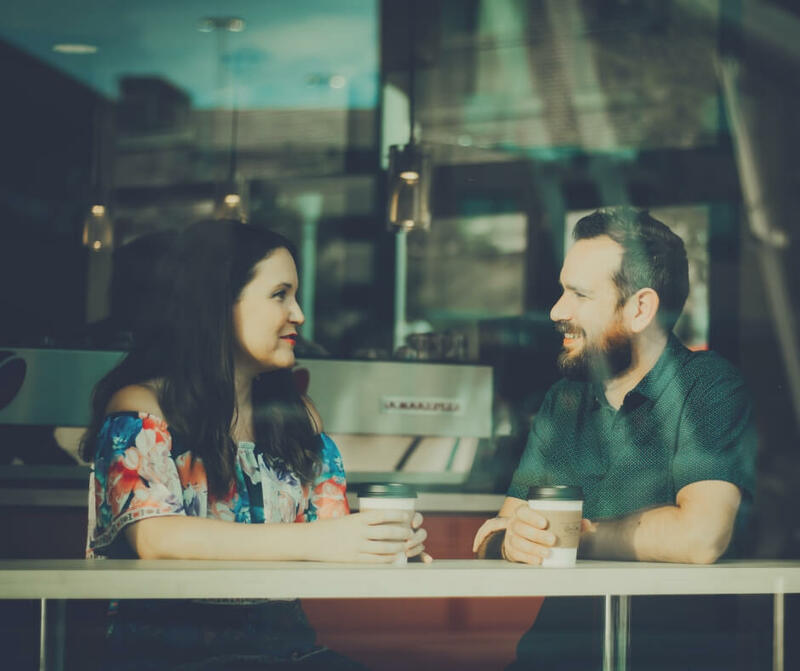 It gives us both a chance to talk about our morning and a lot of the time it allows us to talk through some of the ideas we've both had during the morning. Strangely exercise makes me feel good. It's not something that has always happened but I do find I feel better and have more energy if I do exercise. My exercise of choice used to be running, but as I've gained weight that has become more difficult, so for the time being my choice is the exercise bike. While the Hubby and I have something on the TV I hop onto the exercise bike and do 20 minutes. Yoga class on a Saturday is doing me good, as well as the exercise bike! It doesn't sound like a lot, and actually doesn't sound like it's something for "me", but it really does help. When I do exercise I feel good, it's tiring but after a while I do feel better. I have more energy because of doing exercise, which means there are more hours in the day that I can utilise rather than sitting wondering why I'm so tired. That's why exercise, while tiring is another way I take care of myself. After dinner has been cooked and eaten and all the chores have been completed I take some more time for me. This is easier now my boys are older, at 9 and 14 they tend to want to play games or chat to friends and this gives me a little time when I don't have to be monitoring what they're doing all the time. So this is when I take time for me, at the moment I use that time playing a game - Zelda on the Switch. Sometimes it's just 20 minutes, sometimes it's more than an hour, but I do get to play my game most days. I enjoy taking time out and allowing myself to "do nothing". Me, enjoying a little quiet time with a coffee and a good book. It doesn't sound like a lot, I spend most of my time taking care of family and cleaning my house but I do take time for myself every day. I used to feel guilty for spending an extra 5 minutes in the bathroom on my skincare routine. I used to feel guilty for ignoring the dishes at the end of the day. I used to feel guilty for playing games or taking time at the end of the day to do something I enjoy. But I gave up that guilt because not only is it not healthy but no one else cares! No one is bothered by the fact that I'm spending time on myself, no one hates that I ignore the dishes or play games. In fact they encourage it - so it's time for you to take care of yourself! When you're happy, when you get to spend time on the things you love, you're more willing to do the things that are required. In fact you're not just willing, you end up looking forward to getting things done - because when they're done you get some time for you! 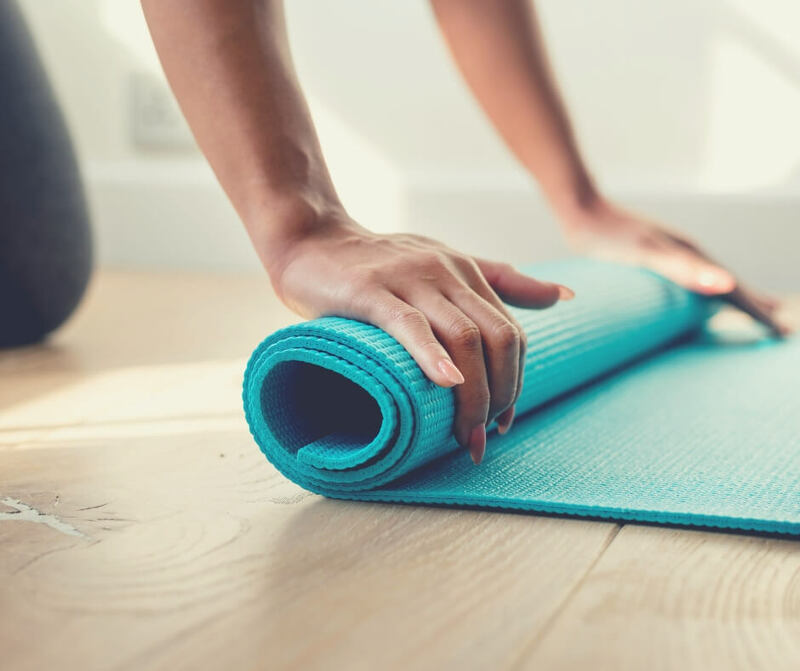 Whether it's a new skincare routine, spending 10 minutes meditating, or a new exercise routine, make time for yourself. 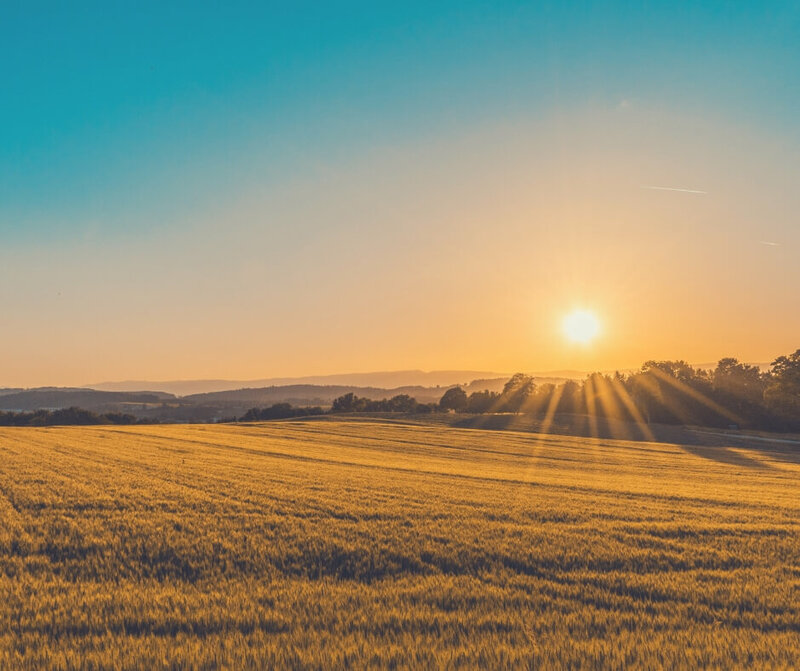 Just a few minutes during the day can make all the difference and it'll give you the energy to cope with anything your family can throw at you. How will you take care of yourself a little every day? If you enjoyed this post you'll like Stay-at-home mums - why we shouldn't be ashamed! or if you're looking for a quick way to make yourself feel better check out 10 ways you can feel better in 10 minutes! Stop by Facebook and let me know how you take care of yourself. 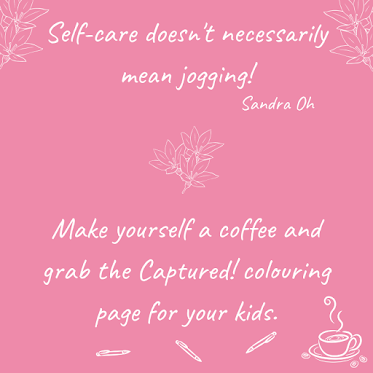 And if you're struggling to get any time for you grab my Wonderful Winter Activity Book to keep your kids busy for a while so you can at least enjoy a hot coffee! Fridays keep coming around so fast don't they? Welcome back to another Post Comment Love, where Stephanie and I welcome all. I have to say, although the weeks seem to be flying by I am happy we're getting closer to the weather improving, I'm looking forward to seeing the sun a bit more often! I've got the boys at home next week for half term, and LP is home today. Luckily he can keep himself occupied some of the time so I can still get stuff done. We don't have anything special planned for half term this time, LP is going to a fitness club for four days and we have Hubby's birthday at the end of the week but apart from that there's nothing. I like it that way sometimes though, it's easy. Do you have anything special planned for half term? Becky is a blogger who's been at it for about a year and lives in Canada. She discovered blogging through Instagram of all places, and loves to cook dinner and play board games. 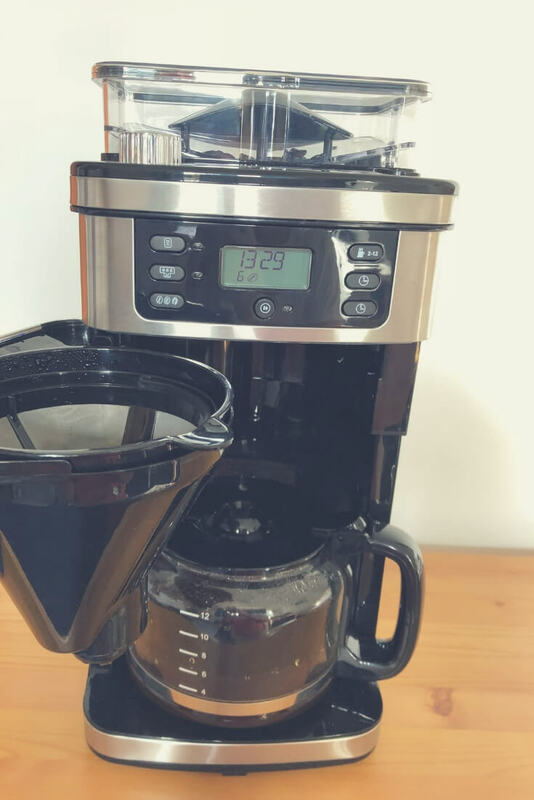 To find out what she prefers - coffee or tea - or to find out what she plans for the future head over to Stephanie's blog where Becky is answering our Blogger Showcase questions.